My name is Therese, I am 13 years old, and I love chocolate ice cream! 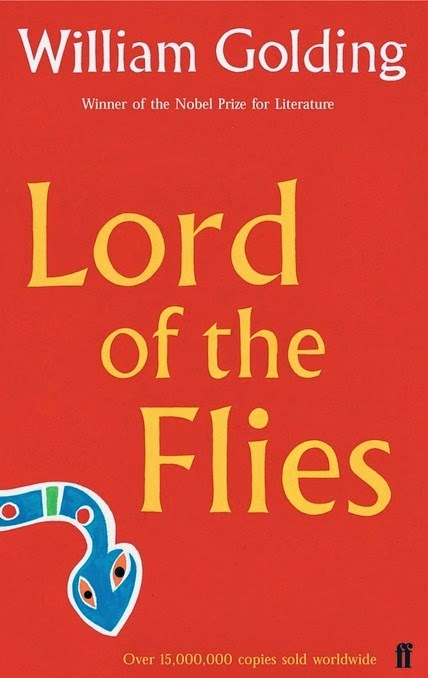 I most recently read Lord of the Flies, I chose it because not only is it a classic but I also saw a friend of mine perform in the show as Simon, and wanted to check it out. Brilliant. I say that because of the writing style, the contemplation it requires to process the plot and progression of the book, and the convincingness with which the book leads you to believe this could actually happen. My favorite part of this story is when Simon's body is cleansed in the dark of night and washed out slowly to sea, because it is a sorrowful but peaceful and bittersweet moment, almost as if the earth is caring for Simon and giving him the ceremony he deserves. It is also a beautiful description of the sea at night. The main character, Ralph, has many difficult and very extreme situations that can hardly compare to my life, but one I think I could fathom (barely) is being stranded on an island. Were I to be stranded on an island, or more specifically, with many other people, I believe that I would use my admittedly sparse knowledge of survival combined with my reason and civilized sense of order and morals (that comes in most cases, easier to teenage girls than teenage boys) to keep order and hope up as strong and as long as possible. Were I to convince my best friend (or anyone for that matter) to read this book, I would like to point out the intrigue of psychological study in this book, along with the haunting beauty of the words and the scenes that are painted by the author, as well as the touching emotional pieces and life changing chapters that leave one to truly contemplate the strength of civility. This book is a classic for a very good reason! The book actually has different covers depending on the copy, but the cover I got I did not like. I thought it was not a graceful fit of art for the plot, and was not done in any special or exceptional way. It did at least however cover the main symbols of the book--fire, Piggy's glasses, and the spears of savagery. I would not want to read another book with these characters, simply because the ending of this book leaves just enough for the reader to be allowed imagining without going completely crazy. To write a sequel, or even a prequel, would be a disservice to the imagination. There are only two books that come to mind when thinking of similar stories, and that is Hatchet by Gary Paulsen, and The Hunger Games, by Suzanne Collins. I think of hatchet because it too is a survival story, with stakes also high and frightening--in a much different way of course. Hunger Games is not a close fit either, because it would in all honesty be unfair to compare the writing of William Golding to anyone writing a science fiction novel. However, much like Lord of the Flies, The Hunger Games addresses survival, and psychological terrors including children vying for life. I would like to ask the author what happened to "the boy with the mulberry birthmark," a young character who goes missing and never returns, fairly early on in the book. His disappearance is mentioned in a few places throughout the book, but never explained. Since Mr. Golding passed away in 1993, we added a bonus question for Therese: What's next on your reading list? I am reading the boy in the striped pajamas for school, but on my personal list I would like to get a chance to read The Lord of the Rings series. Thanks for all your thoughtful answers, Therese!